The ACID Blondie Candela features a smooth candela wrapper, with Drew Estate’s signature ACID infusions, allowing for the natural sweetness of the candela wrapper to blend into the virtuous world of the renowned Blondie. "My passion and love for Nicaragua has grown immensely over the past three years. I lived in Nicaragua while we blended our Herrera Estelí line, and during that time got to really know the people at the factory. I grew to love the country, especially Estelí. This is an incredible opportunity, and it's a dream come true for me to become Master Blender of a global company as well respected as Drew Estate. There are many people who have believed in me along this journey, especially my family." 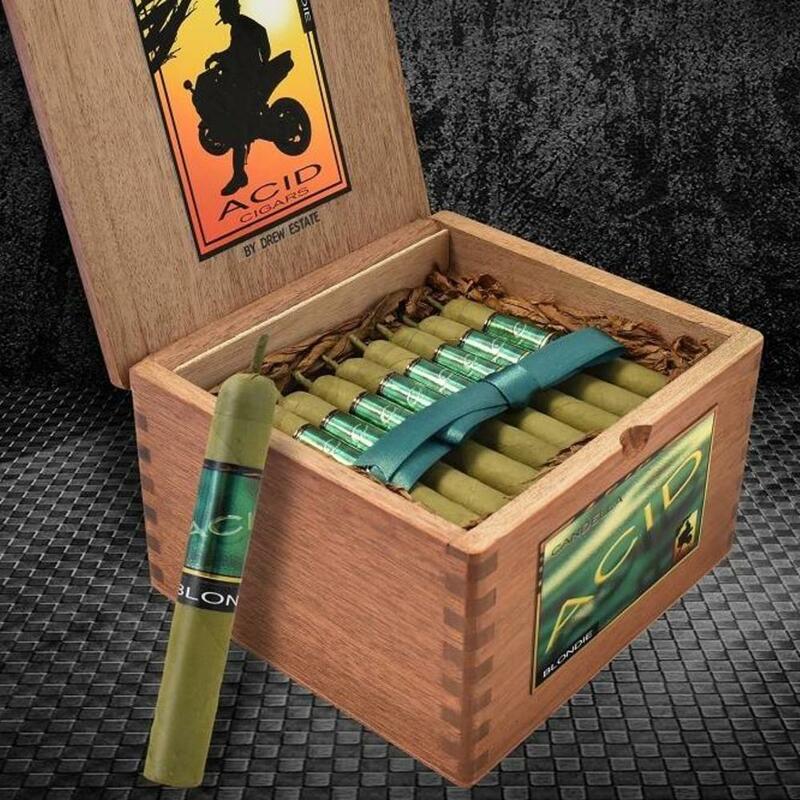 Since 1998 Acid Cigars from Drew Estates have intrigued cigar smokers with their unique blend of premium tobaccos. The secret blend lends smokers a distinct experience with herbal, spice and floral notes in a medium bodied cigar. Acid comes in a variety of wrappers including Blue Connecticut, Maduro, Golden Sumatra and Cameroon. Handmade in Estelí, Nicaragua with choice binder and filler tobaccos from Nicaragua, Indonesia and Mexico complete this exceptional infused cigar. Cured for months to release over 150 types of oils is what makes the ACID series so special. Introduced at the Las Vegas IPCPR Convention and Tradeshow in July 2017, ACID Blondie Candela from master blender, Willy Herrera, is a mysterious blend of aromatic infused tobaccos enclosed in a sweet green Candela wrapper creating notes of tea and sugar. Yerba Mate, a traditional South American caffeine-rich infused tea, pairs superbly well with ACID Blondie Candela. It is an earthy tea with notes of tobacco already in the taste profile. It’s the perfect afternoon pick-me-up on a cold day.